Honda Cars Philippines, Inc. (HCPI), Honda’s automobile business unit, participates in the STV Auto Focus Pre-Christmas Test Drive Festival 2016 to allow customers to experience Honda’s dynamic performance and advantages through this four-day test drive activity. This grand test drive event is the perfect opportunity for customers to experience firsthand the class leading features and technologies of Honda vehicles, including the City, Civic, CR-V, HR-V, Jazz, Mobilio, Odyssey, and Pilot. Customers may also test drive for the first time both variants (1.5 S CVT and 1.5 V Navi CVT) of Honda’s recently launched 7-seater SUV, the All-New BR-V. The All-New BR-V is Honda’s most affordable addition to its Sport Utility Vehicle (SUV) lineup that promises an uncompromised driving performance with its advanced features and technology. The All-New BR-V will be available in the Philippine market starting December 2016 with a suggested retail price of Php 989,000 for the 1.5 S CVT, and Php 1,119,000 for the 1.5 V Navi CVT. Furthermore, HCPI will showcase the sportier and bolder New City and Jazz Black Edition. 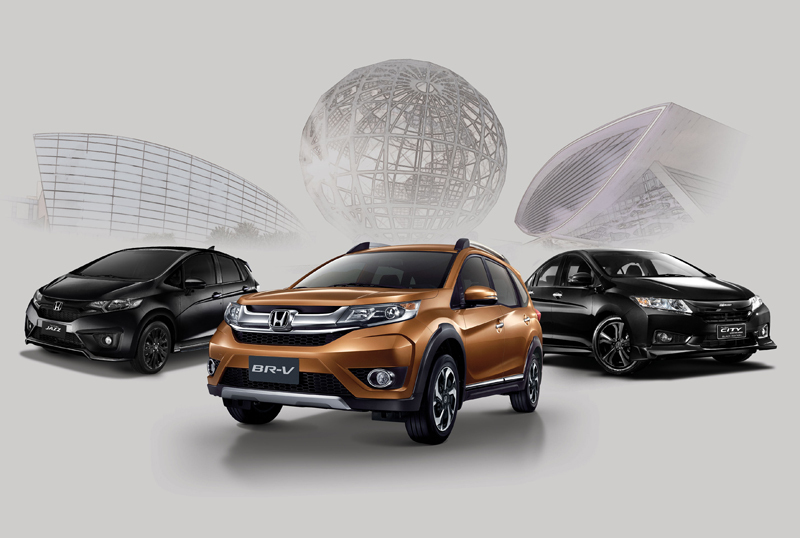 The New City and Jazz Black Edition flaunt a Crystal Black Pearl paint complemented by exclusive all-black genuine Modulo or MUGEN accessories that further elevate the athletic appeal of Honda’s subcompact vehicles. Only a total of one hundred (100) units will be available for the Black Edition, hence customers are already encouraged to reserve to be one of the few to own this exclusive offer. To celebrate the upcoming Christmas season, HCPI extends its Most Wonderful Deal of the Year campaign at the test drive festival. Customers who will inquire, test drive, and reserve any Honda vehicle will be entitled a corresponding number of entries for a chance to win an iPhone 7, GoPro Hero 5 Black, Php 100,000 Cash Rebate, and a grand prize of an All-New BR-V.
HCPI invites all customers to the STV Auto Focus Pre-Christmas Test Drive Festival 2016 organized by Mr. Butch Gamboa from November 17 to 20, 2016 at SM Mall of Asia Concert Grounds. For more information on the STV Auto Focus Pre-Christmas Test Drive Festival 2016, visit www.hondaphil.com.